Deloitte have released the 18th edition of their annual football money league to rank which are the Top 20 'richest' clubs in the world based purely on revenue. Which of course used to be a 'where about's are we?' scenario for our fans to look into since it started, rather than 'are we back in yet?' type scenario since we dropped out in 2007/2008. We made a brief appearance in the 16th edition in 20th place a couple of years ago due to the 5th place finish in 2012, however we soon dropped back out in last years list. This year however we have made our return in 19th place due to the Premier League having a total shed load of more money pumped into it from TV rights, mainly from BT Sport taking on Sky. So as long as we stay in the Premier League we should be in the Top 20 richest clubs for a long time to come. Now what may surprise Newcastle fans is, it isn't purely down to our TV money as to why we are the 19th richest club. Our commercial revenue has never been so high in our history. We increased our commercial revenue by 50% due to the Wonga shirt sponsor and other deals with Thomas Cook (who knew) and kit maker Puma. before, with also the fact our commercial revenue has increased by 50%, the fact we as a club have such a mediocre, unambitious, completely out of touch mob running things from the directors chair is nothing short of a disgrace. Frank De Boer summed our club up perfectly recently when he described us as 'a sleeping giant'. Now this is a man who is over in the Netherlands doing some sterling work at Ajax, looking at our club from a far and he recognises this clubs potential. We are a club with the 3rd highest attendance figures in the Premier League. Literally 89 of the 92 professional football clubs in this country would give a small fortune to have what we have. Liverpool & Spurs for e.g are prepared to invest heavily in upgrading their already impressive stadiums or say goodbye to their sacred homes and a build a completely brand new one, just to compete. Even though our fans have been mainly fed up with the club last year, they still averaged 50,000 for home games. A truly impressive fact that repeatedly gets swept under the carpet. Our illustrious owner doesn't know how lucky he is. He is as clueless as he is cheap. This is a man who is able to sell just 2.6% of his Sports Direct stake and make himself a cool £117 million in the process. Now he still owns 55%. So a bit of quick scouse maths tells you he is worth somewhere in the region of £2.75 billion, until his sale reduced the price of the Sports Direct shares. Point being the man is worth an absolute fortune yet never puts his hand in his pocket to help build his already financially successful asset in Newcastle Utd FC. The man has sold a very tiny amount of shares in order to help his ongoing power struggle at Scottish championship motley crew Rangers. Yet he still holds his Premier League, Top 20 richest club in the world, to loans which 'we' owe him if he ever ups and leaves the North East for a directors seat a bit more North over the border. If just 2.6% of his wealth is worth £117m then why the hell does he continue to hold our football club for loans for a very similar amount? Its small fries to him but has huge importance to us as a club and business. Fact is he doesn't care about the club. He can do what he wants, he owns it. Fair enough, but don't you want to do what's best for your asset? Or is that just nonsense? 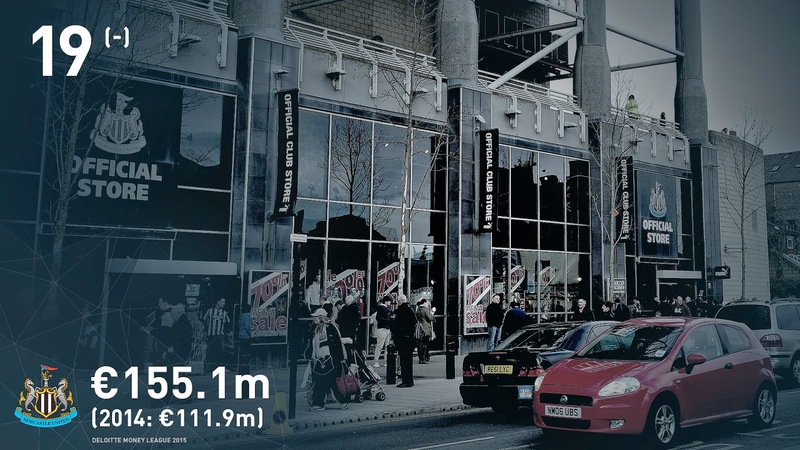 Newcastle Utd are one of the healthiest football clubs in terms of revenue in the world. We have one of the best 'wages to revenue' percentages in the world. We have one of the largest match day attendance figures and fan bases in the world. We have a proven Premier League record of being able to compete for not just Champions league places but even the league title itself. We have represented this country in Europe on countless occasions and are one of a handful of clubs that have been in the Champions League more than once. We are not just a sleeping giant, we are a Juggernaut that are being gagged, held down with chains and drugged up to the eyeballs with horse tranquilizes by our very own owner. All we want as fans is to at least try to compete. To at least try to reach out potential. We don't expect to win trophies, we expect to try to win trophies. We don't expect to play in the Champions League, we expect to try to play in the Champions League. Not having the financial muscle to try and compete is total nonsense. We as a football club are expected announce our financial figures in detail soon which are expected to show a £50million profit. A PROFIT. Yet we spend nothing on the team. NOTHING. 2 loan signings last season, no one bought. We then sell our best player along with his best mate and use that money to buy players. Net spend ZERO. be. 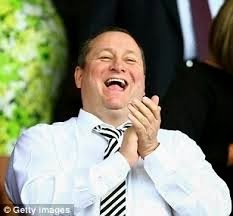 The only 'debt' we have is to Mike Ashley. As I touched on already, considering his worth as a man should this debt even be there? Should it even be considered or recognised as debt? If Ash ever wants to sell, then surely you will get more for your money selling a club that is in the high end of the football world rather than a run of the mill mediocre one we are right now? Freddy Shephard has stated that rich investors aren't interested in the North East, he's right. But what speaks above all is money. Money talks and we have it. Building a successful team would bring even more. It's common sense. Some might say Ash has helped create this new wealth. Sorry but he has nothing to do with the TV money and the commercial income may have gone up, thanks to his Wonga deal, but we still aren't reaching any where near our potential. 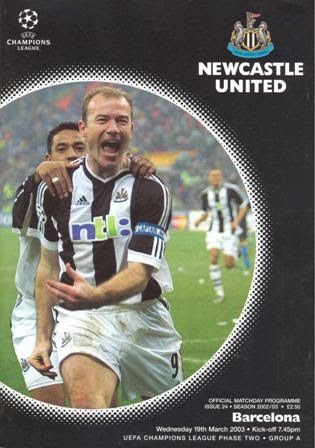 In fact,Wonga are one of the last companies we should be dealing with, Newcastle Utd can do so much better. What the hell is Sports Direct doing for our bank balance plastered everywhere? Nothing. Ashley uses our club as nothing but a tool to promote his own cheap sports shops. The fact he isn't prepared to get the club into the Champions League shows how gutless he is. He would rather buy Rangers on the cheap, get them in the Champions League and promote that way. Cheap and minimal risk (in his eyes at least). Sums us Ashley perfectly. Ashley just doesn't understand how much potential this club HE OWNS has. Totally clueless. What exactly is he afraid of if we as a club invested some of this wealth in top players that can take it to the next level? We won't be relegated so what's the issue? 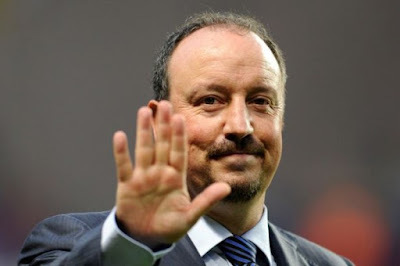 What is stopping Newcastle Utd, the 19th richest club in the world, having more ambition then finishing 10th in the Premier League and going out of the FA Cup at the 3rd round every year? Nothing. Nothing except one thing. Mike Ashley. The man saved this club from financial melt down. However, that doesn't then give you the right to keep it held hostage in your home made dungeon, feeding it nothing but bread and water. We have means to thrive but are rationing in ways to merely survive. There is no logic in how our club is ran and no Lee Charnley yes man is going to convince us otherwise. We are a club who are being out bid for players from Southampton, West Ham and Hull. What the hell is going on? How cheap do you want to be? Investing in players doesn't guarantee success. Look at Everton, they are struggling after spending £28m on Lukaku. Look at Southampton, they are thriving after selling £100m worth of their talent. Nothing is a guaranteed formula. What is guaranteed is if you don't have any ambition you won't get anywhere. Southampton didn't sell out, lose their manager, then sit back and give the job to their academy coach whilst counting the profit. They brought in a highly rated head coach, spent large amounts of the money gained and dreamed of Europe and cup success. Even Everton fans can't complain at a lack of ambition even though they aren't performing. 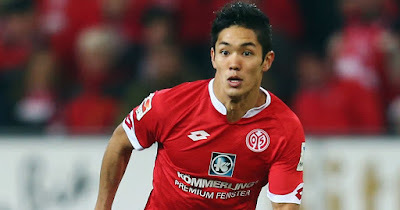 They have an underlined belief that their club will come back next season and fight for success. Newcastle fans don't. That is the point. That's why we are a disgrace of a football club and it needs to change. 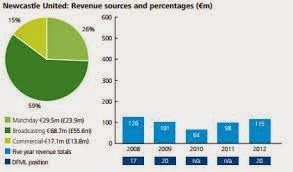 Especially looking at these financial figures. Fact is, we don't need Ash anymore. All of the potential in the world, with the fan base and stadium most teams are crying out for, with the financial capabilities to compete at the top, for it all to be wasted because the owner of our club has neither the ambition, balls or interest in doing so. 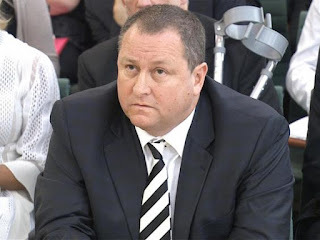 Mike Ashley is a total disgrace and the sooner he sells up and buggers off to Rangers the better. Only then can this football club have the chance to reach it's true potential. Somebody needs to wake up the beast! Southampton have lost their main players from last season and have improved by showing the ambition of bringing in a highly rated coach and had the balls to go for it. Look at them now. No one club needs to spend money frivolously, just wisely. This club has elements of a decent first XI but nowhere near the back up quality. Having said that there's no need to spend mega bucks to bring together a team capable of beating Chelski, Citeh and the Mancs its the games against the Stoke's, Burnley's and Leicester's that we need to win regularly.. Whether you spend or not you just need to have underlying ambition. There ia none. Makes me sick as we only help other teams to feel successful. Stoke and swansea should not be ahead of us in the league consistantly. No chance. An Excellent article that should be more widely published. I wonder if the Evening Chronicle will devote their back page to it? we can but dream! It beggars belief how so many NUFC supporters can't see what is going on, and through their delusions believe that Ashley is doing a good job. C'mon Geordies, don't let this parasite destroy our Club. 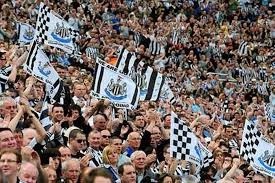 Cancel your season tickets, and do not return to St James' until the Club shows its respect to the supporters by demonstrating some passion & ambition for on-the-field success, rather than for the Balance Sheet. Many thanks. Yea a much wider audience is the dream. I've not been to St James in 8 years and counting. Shame more haven't done the same. 50,000 average attendance is a proud thing, but also a big downer as Ash doesn't get the message. At each game there are 50,000 loyal but passive fans - many who have 'given up' the battle, and can't even be bothered to voice their discontent - why would Ashley change anything? If the supporters want to end the (almost) 8 years of Ashley blatantly abusing their loyalty, & destroying their hope, it's simple, stop going there to be abused!!!! It would send a massive message to Ashley, and to the public in general - that the Geordie public no longer accept the unacceptable! An empty stadium is far less attractive to Ashley & his cohorts; furthermore the TV companies will be far less inclined to screen a game where there will be no supporters and a desolate atmosphere. Consequently, this would potentially adversely affect Ashley's SD advertising. It's the only way to force change. Act as one, don't go to the home games, and show the watching World that Ashley's is destroying a great Club, and his spiteful destruction will not be tolerated by the loyal supporters of NUFC. I couldn't agree with you more. Ash looking around the stadium at empty seats, especially now, could lead him to jump ship to Rangers asap. Rangers have plenty empty seats right now. That doesn't worry him! But if the lost all, and I mean all, its match day ticket sales, revenue would be down only 25%. That's quoting the latest income figures. They are in championship though tbf plus the ongoings dont help. Champions league is his carrot.